I read this article and found it very interesting, thought it might be something for you. 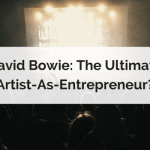 The article is called David Bowie: The Ultimate Artist-As-Entrepreneur? and is located at https://copychief.com/david-bowie-entrepreneur/. June 2017 marks 50 years since David Bowie released his first album. The title of this landmark record? Each one sounds captivatingly ‘of its time’ – but also outside of any sense of musical fashion. And how, like the legion of musicians and artists who followed in his silver slipstream, marketers and entrepreneurs can also learn a thing or two from the great man. Because David Bowie was the epitome of the artist-as-entrepreneur. And he paid close attention to both his brand AND his audience, without ever compromising his unique vision. That sounds like something we should all aim for, right? Here’s how you can do as David Bowie did, and create unique, lasting and important work. Unlike the vast majority of people, entrepreneurs don’t fear change. They adapt, embrace and improve constantly while sorting through ideas, but always move forward. And finally, universally-respected eccentric uncle. He constantly sought new challenges, never dwelling on past glories. And Bowie never tried to just ‘fit in’. Doesn’t that sound like a whole host of famous entrepreneurs and marketers? There’s a single-mindedness to all the greats that drives them to do great work. 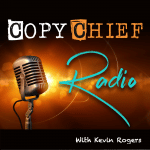 (So, am I saying Ben Settle is “the David Bowie of copywriting”? “I’ve always felt bemused at being called the chameleon of rock. Good point. There was really nothing chameleon-like about Bowie at all. Keep moving. Stay supple in your thinking and your approach to your work. Observe trends and developments in different niches, but don’t be a slave to fashion. Try new things. Experiment, and don’t be afraid to screw up. And if you’re writing sales copy, write to get your product noticed – not to blend in. …but it got attention, and made a white-hot connection with a huge number of people. Doing that right at the top of his game left many listeners dazed and confused – and sent shockwaves across the music industry. And that’s why today’s entrepreneurs should embrace ch-ch-ch-ch-changes (sorry) the way an artist would. If you think there’s a desire – and an audience – for something different to your current service or product line, do some research and give it a whirl. You can never please everyone, nor should you try. He always approached new styles out of a thirst for discovery and understanding. 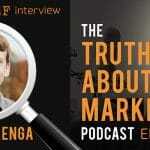 To experience or to improve, yes – but never to undercut or exploit. Figure out where there’s congruency between what you’re doing now and where you want to go, and focus on that. Don’t be “another X”. Aim for more than just “Uber for Y”. If it turns out more Tin Machine than Hunky Dory, don’t be disheartened. Change again… learn from the experience… evolve. Keep moving. He brought techniques from his on-screen experiences into his musical performances, and vice versa. He was also one of mainstream music’s earliest adopters of the internet and digital technology. At a time when Metallica were trying to stop a tidal wave of change using a leaky bucket made of angry lawsuits against mp3 users, Bowie was setting up his own ISP: BowieNet. Keeping his creative instincts fresh right until the end, and his audience on their toes. Great ideas come from combining unlikely sources and experimenting with different mediums. Bowie was renowned for interesting, sometimes unusual collaborations, remaining productive even outside of the pop industry’s standard album-tour-repeat cycle. Not to mention the networking skills he developed over the years. Be ready to capitalize on your successes in a partnership or JV opportunity with someone who’s on their way up. Maybe now’s the perfect time to reach out to that whizz-kid designer, or that rising star copywriter (ahem), or to get on a call with the expert behind that inspiring online course you just took. Perhaps they’d like to come and meet you (“but they think you’ll blow their minds”)? Gotta be worth a shot, right? I had to blast out “Space Oddity” while reading your excellent article … Bowie is a great role model for business and life. Thanks for pulling out so many insightful lessons from the master!! Yep, he sure was the man for modelling after. A hard act to follow, and impossible to replace – but a trailblazer for entrepreneurs and artists alike. Glad you got some insights from Dame Dave!